There’s little point in developing autonomous vehicles if you can’t also build the trust required with the public to bring about their adoption. That’s the main takeaway from the 2018 Cox Automotive Evolution of Mobility Study. The research found that 84 percent of drivers want the option to take control even in a completely self-driving vehicle, while just 16 percent are comfortable letting an autonomous system take full responsibility for a journey. 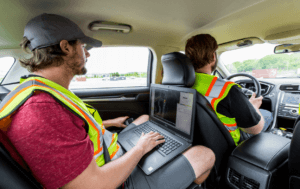 With recent accidents involving autonomous systems doubtless in mind, the number of respondents who believe that roads would be safer if all vehicles were fully autonomous has dropped to 18 percent in the past two years. The conclusion is that, despite advances in computer vision technology and millions of test miles driven by companies such as Waymo, Uber, GM, Apple, Tesla, and Ford, self-driving vehicles are now seen as less safe than they were in 2016. However, the study also suggests that, despite their reservations, consumers still want – and to a degree expect – semi-autonomous safety features. In fact, 54 percent of respondents agree that features such as collision warning and avoidance systems help to make people better drivers. This disconnect between perception and reality is where autonomous vehicle manufacturers still have much work to do, suggests the report. “There is a major opportunity, and a real need, for automakers and mobility providers to help educate consumers and further guide autonomous vehicles in their development,” said Joe George, Cox Automotive Mobility Solutions’ Group president. In related news, Ford has released a safety report this week, titled ‘A Matter of Trust‘. In it, Sherif Marakby, CEO of Ford Autonomous Vehicles, argues that gaining the trust of the public and building confidence in the safety, reliability, and overall experience that Ford vehicles provide is paramount for the company. “We don’t believe that the central challenge in the development of self-driving vehicles is the technology. It’s trust. Trust in the safety, reliability, and experience that the technology will enable,” he writes. The report goes on to outline how Ford will apply safety processes to its vehicles and testing procedures alongside Argo AI, the driverless software startup in which Ford acquired a majority stake last year. One aspect of Ford’s push to gain public trust is the strict code that its test drivers have to operate by. The fatal accident involving an Uber vehicle in March is thought to have been caused in part by a distracted safety driver at the wheel, as well as by multiple technology inadequacies. The Matter of Trust report outlines the robust processes that Ford has put in place, which include safety operators working in teams of two, the use of cellphones only when a vehicle is in ‘Park’, mandatory pre- and post-shift daily briefings, and regular classroom sessions to educate drivers on new software releases and capabilities. Uber has itself rolled out new safety features. Argo AI also ensures that drivers take a three-phase training programme, covering manual training and an introduction to autonomy. The second way to build trust in autonomous systems, says Ford, is to make them predictable. This means taking on the challenge of developing systems that can adapt to cultural norms. “Part of earning the public’s trust is to drive the vehicle in ways that other motorists, cyclists, and pedestrians expect. Each city has its own culture and expectations for how vehicles should drive,” says the report. While driving, we take for granted the possibility of communication between ourselves and other road users. Drivers often flash their headlights to signal that they are giving way to cyclists or other cars, for example. Part of Ford’s determination to make its autonomous cars predictable and trustworthy is to develop a common language, a method of communicating intention that will ensure that ordinary road users are never surprised by the behaviour of an autonomous vehicle. To enable a form of communication between people outside the car and an autonomous vehicle, Ford has designed a light bar that’s placed near the windshield, in a position where pedestrians, cyclists, and other drivers would naturally look to make eye contact with a human behind the wheel. As Ford’s autonomous vehicles move, the light bar attempts to signal its intentions with different patterns. For example, a white light passes back and forth when the vehicle is yielding. If the vehicle is about to set off, the light blinks rapidly to get the attention of other road users. But clearly, these kind of communication systems are only useful if the general public knows what they mean. Which is why Ford is keen to start a conversation about global standards and encourage public participation in their creation. Ford’s light bar solution is both sensible and promising, though it could be argued that autonomous vehicles should simply adopt existing signalling systems – which have been adequate for decades – not force everyone else to adapt to them by learning a new system. Yet while safety concerns about autonomous vehicles have grown in the West – particularly the US – on the back of this year’s fatal accidents, they are not shared in China. Chinese customers are among the world’s most optimistic when it comes to driverless cars, said Ford in its recent 2018 Trends Report. Eighty-three percent of Chinese people said they are hopeful about the future of autonomous vehicles, according to that document, which was based on a survey of over 9,000 people from nine countries and regions. The figures stand in marked contrast to the falling support identified in the Cox Automotive study. Despite not having the US’ deeply ingrained culture of car ownership and the freedom of driving – which has gained mythical status in Hollywood films and the lyrics of many songs – China is now the world’s largest car market. As a result, it faces fewer of the cultural obstacles that the US does in the switchover from driver-controlled and -owned petrol cars to autonomous, on-demand electric transport. The post Public concerns about driverless cars rise, Ford releases safety strategy appeared first on Internet of Business.